This is batch #2, bottled for GoldenDrops by Gleann Mor Spirits. It´s a single cask from an ex-Bourbon barrel. 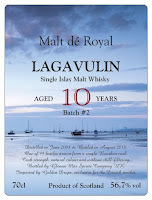 White fruits and peat with an ashy touch in the smell. Just a hint of figs in the background. Aaaand here we have the peat! Wow, what a blast at first in the taste! Well, maybe a blast is a bit of an overstatement, but more than what I thought from the smell. Some dark fruits appears after a couple of sips with hints of some citrusy notes. The finish comes with a little sweeter touch. 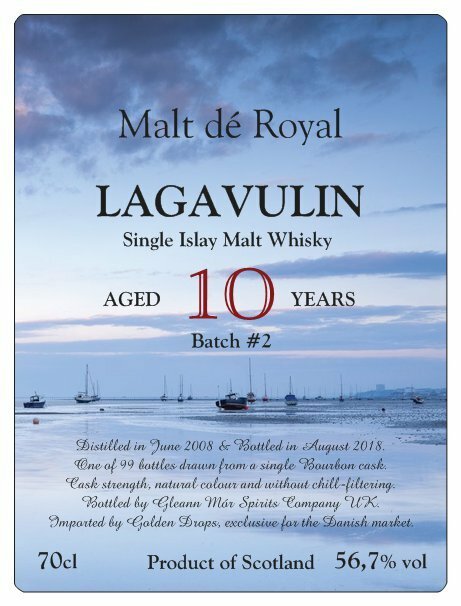 I miss a bit of complexity, but okay, it´s only 10 years old, and the cask strength makes the taste and finish very flavourful. A fine Islay malt with a little extra touch from what you normally get from young Bourbon cask matured whiskies. I will give this 86/100 (21/22/22/21).